Kenneth Babby ’02, the owner of two Minor League Baseball teams, is being inducted into the Summit County Sports Hall of Fame and will receive a service award at the organization’s banquet on October 2, in Akron, Ohio. Summit County Hall of Fame candidates are required to have “made a significant and noteworthy contribution to athletics on a local, statewide, national and/or international level,” according to the nomination form. The West Side Leader on September 13 featured a story about the induction and a photo of Babby. Babby, a former member of the Wheaton College Board of Trustees, owns the Ohio-based Akron RubberDucks (formerly the Akron Aeros) baseball team (AA affiliate of the Cleveland Indians). 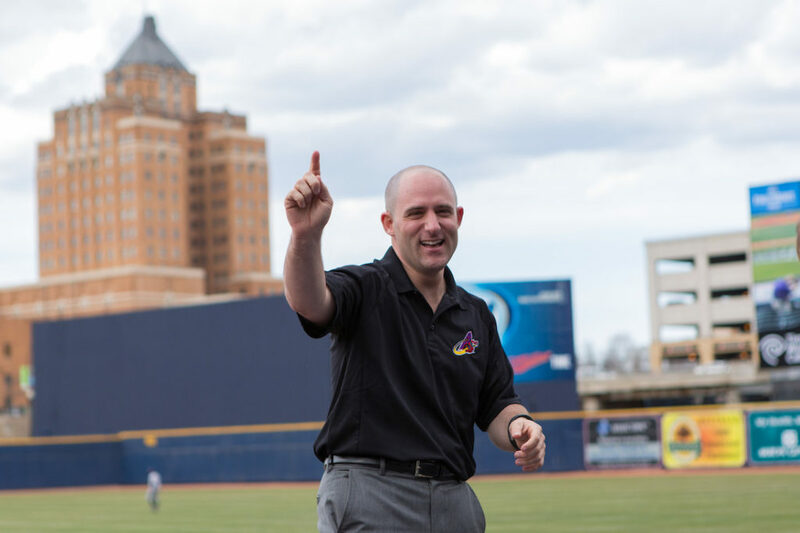 Since taking the helm in 2012, he has focused on reinvigorating the team’s Canal Park, committing $3.5 million in improvements and focusing on rebranding and marketing efforts. He also owns a second team, the Jacksonville (Fla.) Jumbo Shrimp (AA affiliate of the Miami Marlins), and is chair of the 10-member board of MBL Internet Rights Company (BIRCO). BIRCO manages digital and interactive media rights of its member Minor League Baseball clubs and leagues. A computer science and economics double major at Wheaton, Babby has an M.B.A. from Johns Hopkins University and formerly was chief revenue officer and general manager of digital for the Washington Post. His dreams of owning his own baseball team date back to his days as a child doing homework in the warehouse at Oriole Park at Camden Yards, home to the Baltimore Orioles. His father, Lon Babby, was the team’s general counsel from 1979 to 1994.